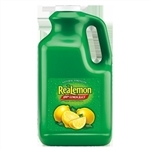 Motts Realemon Lemon Juice - 48 Oz. Motts Realemon Juice Bottle - 32 Oz. Motts Realemon Juice - 1 Gal. Motts Cinnamon Apple Sauce - 4 Oz. Motts Hawaiian Punch Fruit Juicy Red - 32 Oz. Motts Clamato Picante Juice Plastic - 32 Oz. Motts 100 Percent Apple Regular Juice Plastic - 128 Oz. Motts Apple Regular Juice Plastic - 32 Oz. Motts Clamato Juice Plastic - 32 Oz. Motts Clamato Juice - 5.5 Oz. Motts Hawaiian Punch Fruit Juicy Red Plastic Juice - 64 Oz. Motts Realemon Squeeze Juice - 15 Oz. 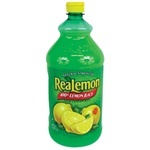 Motts Retail Realmenon Shape Jucie - 4.5 Oz. Motts Retail Realime Squeeze Bottle Juice - 4.5 Oz. Motts Realemon Jucie Bottle - 8 Oz. Motts Realime Juice Bottle - 8 Oz. Motts Regular Apple Juice Retail - 64 Oz. Motts Tomato Juice Single Serve - 11.5 Oz. Motts Mr and Mrs Ts Bloody Mary Mixer - 5.5 Oz. Motts Realemon Shape Juice - 2.5 Oz. Motts Realime Juice - 1 Gal. Motts Realime Shape - 2.5 Oz. Motts Roses Blue Raspberry Infusions - 20 Oz. Motts Roses Sour Apple Infusions - 20 Oz. Motts Natural Apple Fruit Snack - 3.9 Oz. Motts Regular Apple Sauce Foil Top - 4 Oz. Motts 100 Percentage Mini Fruit Punch Juice - 4.23 Fl. Oz. Motts 100 Percentage Mini Apple Juice - 4.23 Fl. Oz. Motts Original Apple Juice 100 Percent Natural - 64 Oz. Clamato Original Juice Pet - 64 Fl. Oz. Roses Grenadine - 1 Ltr. Roses Sweet and Sour Pet - 1 Ltr. Roses Sweetened Lime Juice - 1 Ltr. Motts Original Apple Sauce - 24 Oz. Motts Apple Sauce Strawberry Plastic Cups - 4 Oz. Apple Juice Box - 6.75 Oz. Apple Juice White Grape 100 Percentage Juice Box - 54 fl.oz. Fruit Punch 100 Percentage Juice Box - 54 fl.oz. Lime Realime Shrink - 15 Fl. Oz. Motts Fruitsations Apple Sauce Strawberry - 4 Oz. Chop House Steak Knife - 9.75 in. Motts As Natural Pouch - 3.2 oz. Motts Apple Sauce Original Pet Jar - 24 oz. Motts Apple Sauce Original Pet Jar - 48 oz. Motts 100 Percent Apple Juice Pet Bottle - 8 Oz. Motts As Natural Pet Jar - 46 Oz. Roses Infusions Pomegranate Twist - 20 Fl. Oz. Applesauce Cup Noodles - 23.4 oz. Motts For Tots Fruit Punch Juice - 6.75 oz. Motts Tomato Juice - 11.5 oz. Yoo Hoo Chocolate Drink Box - 6.5 Fl.oz. Roses Lime Juice Pet - 12 fl.oz. Roses Grenadine Pet - 12 fl.oz. Roses Sweetened Lime Juice Concentrate - 25 Oz. Roses Grenadine Pet Ls12 - 25 Oz. Hawaiian Punch Fruit Juicy Red - 10 Fl. Oz. Motts Original Apple sauce Pouch - 3.2 Oz. Hawaiian Punch Polar Blast Pet - 10 Fl. Oz. Mixer Strawberry Daiquiri Margarita - 1.75 Ltr. Motts Natural Applesauce Pouch - 3.2 Oz. Mr and Mrs T Margarita Mix - 5.5 oz. Motts Applesauce Strawberry Pouch - 3.2 Oz. Ibc Cherry Limeade Sugar Glass - 12 Oz. Motts Applesauce Strawberry United States Tub - 4.5 Oz. Motts Applesauce Natural - 4.5 Oz. 1l Roses Mojito Traditional Pet Ls6 - 33.8 fl. Oz. Motts 100 Percent Gls Ls24 Apple Juice - 10 Fl. Oz. Clamato Picante Pet - 64 Fl.oz.